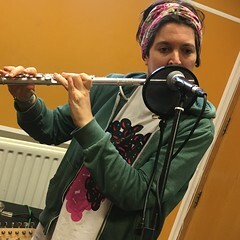 The Bara Bara Band, Tolerance Manoeuvre plus Hendrik Huthoff & the Tango Terra House Live Band perform live in session on The Hello GoodBye Show on Resonance FM. This entry was posted in dexter bentley, hello goodbye show, Hello GoodBye: Playlists, resonance fm and tagged dexter bentley, hello goodbye, hendrik huthoff, resonance fm, the bara bara band, the tango terra house live band, tolerance manoeuvre. Bookmark the permalink.